I suppose when you work in a country where the weather's always bloody lovely, putting half of your shop outside on the pavement seems a good idea. Small caf�s like this are all over the place. 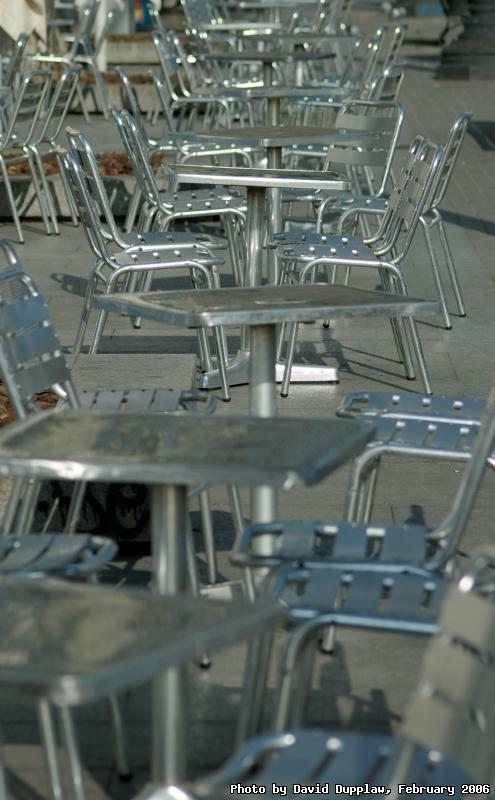 These are the chairs to Zurich Bar on Placa de Catalunya in Barcelona.